Land Rover has announced that it's protecting buyers of Defender, Freelander, Discovery, Range Rover or Range Rover Sport from January's VAT increase. The offer, which applies to new build retail orders placed before 31 December 2010, means customers will avoid the increased VAT rate if their vehicle is registered and delivered between 4 January 2011 and 31 March 2011. The 2.5% VAT difference will be jointly funded by Land Rover and participating dealerships. "Protecting against the VAT increase means that customers can order with confidence, secure in the knowledge that the January tax hike will not affect their vehicle purchase," says John Edwards, managing director, Land Rover UK. "This move demonstrates that the interests of our customers continue to be at the heart of our business strategy." In 2010, Land Rover UK sales are up 30 per cent year to date and there has been increased demand across the entire range, which boasts the most efficient and technologically advanced line-up of vehicles in the company's history. The Land Rover Freelander 2, built at Halewood on Merseyside, continues to be the best-selling model globally, with sales up year to date by nearly 40 per cent. In fact, demand has been so strong that earlier this year, Land Rover created 275 new jobs at the Company's manufacturing plant in Solihull, where the Defender, Discovery 4, Range Rover Sport and Range Rover are manufactured. New model pricing for January 2011 is also announced today, including 20% VAT, along with a pricing realignment for the Freelander 2 range which, with the addition of the new 2WD version (badged eD4), will provide customers with even greater value for money plus improved economy and CO2 emissions. 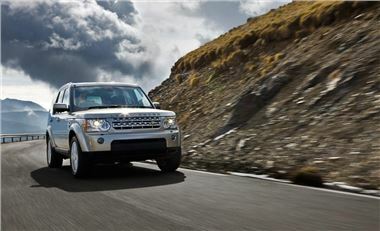 Find current new Land Rover prices here.